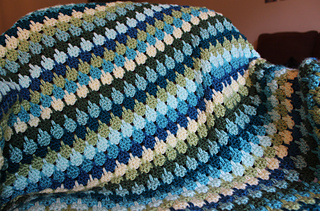 This pattern is written so you can create an afghan of any size and use any weight yarn. The sample is medium worsted yarn with an I hook. Pattern chart, written directions and video tutorials are provided.